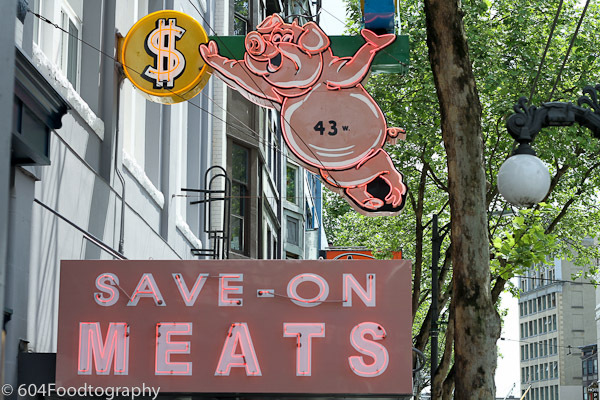 Blog: Save On Meats RETURNS! It’s back & better than ever. Save On Meats has re-opened under the guidance of Mark Brand – Boneta, Diamond, Sea Monstr Sushi, to name a few of his gastown babies – and is carrying on the 52 year legacy left by Al DesLauriers, creator & owner of this iconic Hastings institution. 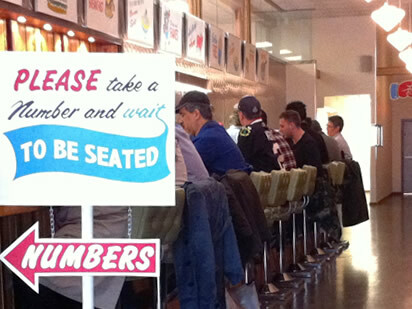 The original butcher shop is back, along with an old style diner (with a $4 breakfast! ), take-out window, self-powered organic rooftop green house, in-house composting & bike delivery. Working closely with community organizations, local suppliers & City Hall, the 4-story, 100+ year old building centers around green & social initiatives, and affordable, sustainable food, that benefits the residents of Vancouver, specifically the east side. The butcher shop & diner are now staples of my weekly activities. Both price their items very reasonably & they're absolutely delicious!